Less Twitter, more Instragram. 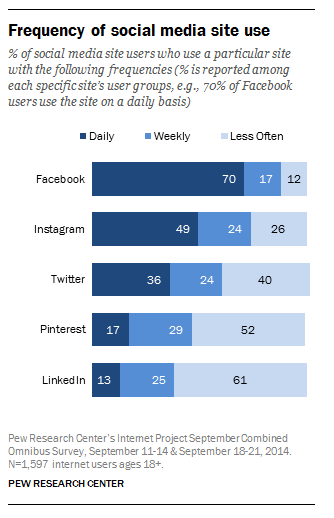 Pew Research released their Social Media Update 2014. In 2013, 46% of Twitter users checked the site every day. In 2014, only 36% checked it daily. What a drop! 49% of Instagram users said they checked the service daily. Twitter’s engagement is down, while Instagram’s engagement is soaring? Why?